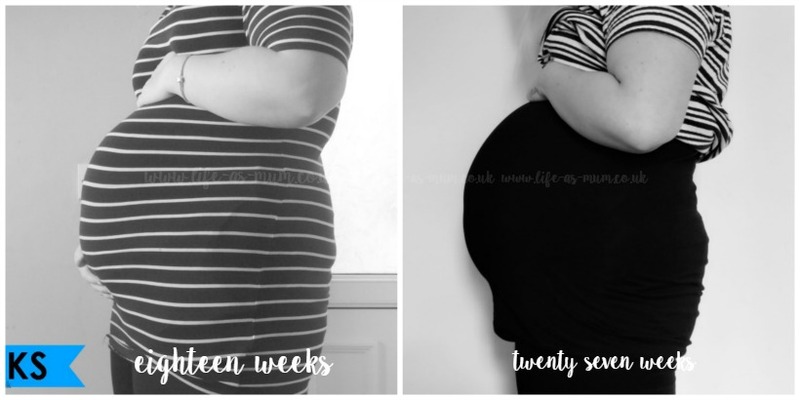 If you are a regular reader you may have seen that I did a similair post a good few weeks ago before heading into my second trimester. If not, you can read my growing bump 12-17 weeks post here. I am really glad I have taken a few photos every single week through out my pregnancy and I can't wait to put them all together in a collage once baby boy arrives. I think it's amazing how a woman's body can change so much during pregnancy and knowing this is my last ever pregnancy, I knew I wanted to take as many photos as I could. I have a feeling this baby may be a big baby just like my girls. Mia was 8lbs 9oz and my youngest, Elliw, was 9lbs 8oz. I am having growth scans from 28 weeks onwards so I will know a little more from then. It would be nice to have a smaller baby this time but of course it doesn't matter how big or small baby weighs, he is going to be loved so much. As I am in my last week in the second trimester and heading into the last and third trimester, here is my growing bump from 18 - 27 weeks. It's crazy how much they can grow int he span of a few weeks. You must be so excited! Judging from your bump, it looks like your baby is going to be big. Wishing you a lovely heathy baby and easy birth. It's such a wonderful idea to document your pregnancy in pictures. I always wanted to do that too, but I found out just before Christmas that I can't have children. 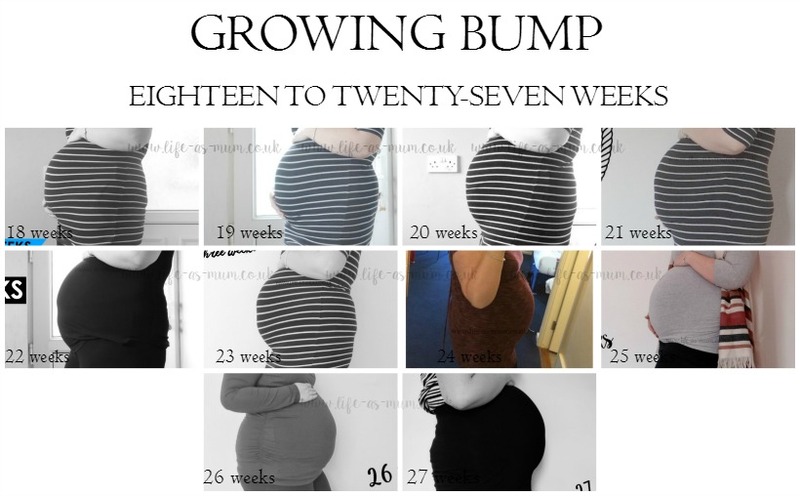 I love that you're documenting your growing bump with progress pictures. My mum always said she wishes she did the same!